Very decent quality and well thought out. Don't hesitate if you're looking for a way to keep your tenor ready to play and looking good in a room. This is a great so you don't need to put your saxophone on the floor to scratch. The flute peg is removable. Previous poster was unsure about the flute peg feature of the stand. Well with a little google hunting, the flute peg is what is says... a peg for a flute or clarinet! 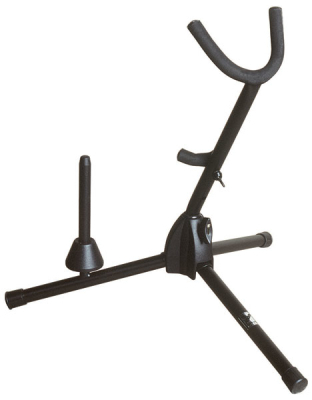 So you are buying a sax + flute stand. Hope that helps! Not sure if I have it set up right or not, there were no instructions. What is the flute peg for? Kind of confusing.